Kim is the first Korean-American to wear a major-league uniform and is considered one of the most aggressive third base coaches in the majors . 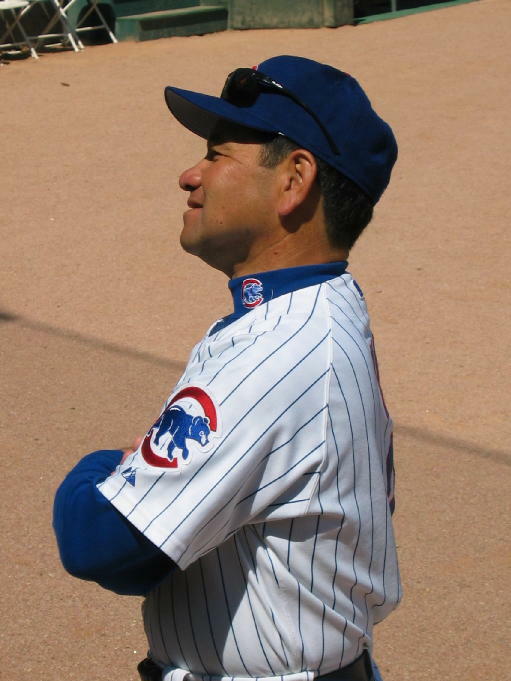 . . Begins the 2003 season as third base coach for manager Dusty Baker's Chicago Cubs . . . Served as bench coach for the 2002 Montreal Expos under manager Frank Robinson . . . 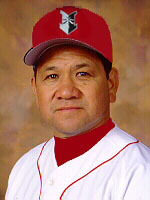 Spent the 2001 season managing the Indianapolis Indians of the International League (Milwaukee Brewers AAA affiliate) . 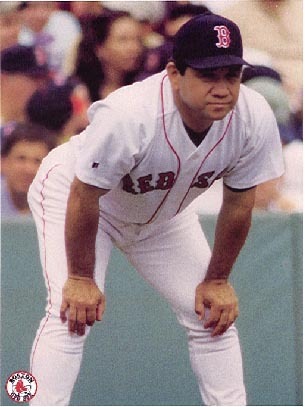 . . Was the Boston Red Sox third base coach and infield instructor for four years (1997-2000) after spending five years (1992-1996) in a similar capacity with the San Francisco Giants . . . Spent three years (1989-91) as the Giants' first base coach . . Prior to joining the Giants' major-league staff, Kim managed in the San Francisco organization for eight years, including 1987-88 at AAA-Phoenix in the Pacific Coast League, 1986 at AA-Shreveport, 1983-85 at A-Fresno and 1981-82 at A-Clinton . . . Had five straight winning seasons from 1983-87 . . .Was named Texas League Manager of the Year when Shreveport was 80-56 in 1986 and California League Manager of the Year in 1985 after leading Fresno to an 84-62 first-place finish . . . Spent the 1980 season as a player-coach with AA-Shreveport. Kim spent seven seasons as an infielder in the Giants' minor-league system before becoming a coach in 1980 at Shreveport . . Began playing at A-Decatur in 1973 and moved to Fresno in 1974 where he hit .306 and was an honorable mention California League All-Star . . . Played two years with AA-Lafayette in the Texas League and in 1976 led the league with 164 hits and all second basemen in fielding (.983) and total chances (654) . . . Moved up to Phoenix in 1977 and in 1978 hit a career-high .313 in 76 games . . . Hit .272 in 45 games with the Miami Amigos of the short-lived Inter-American League in 1979 and played in two games while coaching at Shreveport in 1980. Kim and his wife Natasha have a son, Donald . . . Graduated from Banning High School in Wilmington, CA . . . Played three years of varsity baseball at Cal Poly Pomona and set Bronco career records for runs (93), walks (91) and games (124) while playing under Coach John Scolinos . . . Was selected twice for the All-California Collegiate Athletic Association team . . . Signed as a free agent with the San Francisco Giants in 1973 after attending an open tryout camp . . . Was voted the 1997 Man of the Year by the BoSox Club (Boston Red Sox) becoming only the second non-player to receive the award in 33 years . . . Likes to give motivational messages to various groups and performs magic shows.